Between ice cream, smoothies, hummus, more ice cream, spinach, spinach ravioli, spinach lasagna, and caramel apples, we’ve seen a lot of recalls in recent months for tainted food — and that’s just listeria, one of many pathogens that could make you ill after eating. Now the U.S. Dept. of Justice is letting food producers know that poisoning consumers could result in more than just having to issue a few recalls. Most recently, food giant ConAgra entered a guilty plea to criminal charges for misdemeanor violations of the federal Food, Drug and Cosmetic Act following the 2006-2007 salmonella outbreak tied to the company’s Peter Pan peanut butter. The tainted products were sickened at least 700 people across the country, though the Centers for Disease Control and Prevention estimated that there were likely thousands of additional cases it never learned of. In 2014, three executives at another company, Peanut Corporation of America, were found guilty in prosecutions related to a salmonella outbreak alleged to have killed nine people. “We have made a priority holding individuals and companies responsible when they fail to live up to their obligations that they have to protect the safety of the food that all of us eat,” Associate Attorney General Stuart Delery tells the AP about the DOJ’s ramped-up efforts. 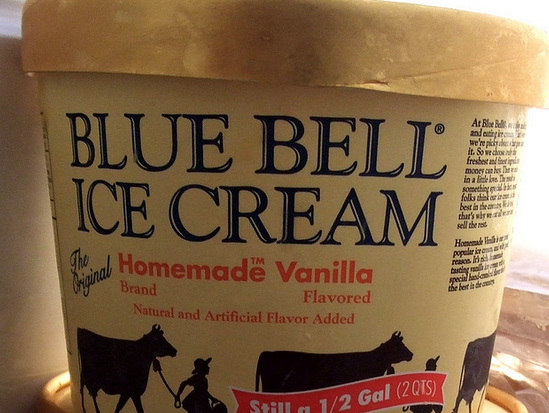 The big question is whether the DOJ is going to go after Blue Bell Creameries, whose listeria-tainted products have been linked to three deaths thus far. In May, the FDA announced that its investigators had found that the Texas-based company knew of the problem for two years but failed to act. The DOJ hasn’t just stepped up its criminal prosecutions of food companies. It’s also used the threat or criminal charges to reach a $1.2 billion safety-related settlement with Toyota, and is reportedly looking to use that same leverage regarding General Motors’ long-ignored ignition defect that killed more than 100 people. And just like in the Toyota example, the criminal charges brought against the food companies might not have anything directly to do with food poisoning. Instead, a company could be charged with mail or wire fraud for deliberately misleading consumers about the safety of its products. “The criminal prosecutions we bring should stand as a stark reminder of the potential consequences of disregarding danger to one’s customers in the name of getting a shipment out on time — of sacrificing what is right for what is expedient,” Delery recently told a group of food companies, according to the AP.